SPRING has SPRUNG! A time for fresh starts and Spring cleaning. We think your Kitchen is the perfect place to start! We’ve put together a list to make Spring Cleaning your Kitchen an EASY process! It’s as simple as PURGE and RESTOCK, and doing this will make a world of difference with your food choices and goals! In order to get the body you want, you have to surround yourself with good stuff… and purge the stuff that’s holding you back. Spring is the perfect time for this, after all Summer is around the corner!! So get the garbage bag out! If it isn’t helping you reach your goals, you don’t need it. Having a well stocked kitchen helps you stay in control and on track, gets rid of the unhealthy food and replaces the junk with health-promoting foods that will help you reach your goals. After a long days work, when you are standing in front of the fridge deciding what’s for dinner, you don’t want to be deciding between cake and broccoli. Food decisions in our kitchen need to be FOOLPROOF. Gather all the unhealthy foods from your fridge and pantry. Get a few big garbage bags. If a certain food has redeeming qualities, then you can take it to a local food bank or soup kitchen. If it’s complete junk, trash it. Get it out of the house. If you think its junk, it is. A good rule here is to check the labels. Look for forms of sugar such as high fructose corn syrup as well as hydrogenated oil, unhealthy fats, butter, and preservatives. So now your kitchen’s empty! Your fridge and pantry might look desolate after getting rid of the unhealthy foods. It’s time to fill them back up with healthy replacements. Write them down. We don’t care if they’re frozen or fresh. Just have them on hand so you can actually eat them. Outside of these staples, any doubts you have about buying certain foods are likely accurate. We’re not saying you should never eat “Food X” again (that decision is up to you), but you may not want to keep the bulk/wholesale four year supply stored on top of the fridge. 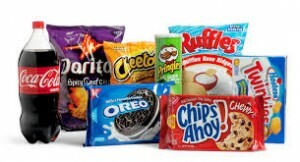 And remember, when you are restocking healthy foods, don’t be fooled by the front of the package. Those darn labels will call out to you with claims like “low-fat,” “no added sugar,” “fat free,” “organic,” “whole grain,” and so on. Don’t believe it. Keep the ingredients real. Try to shop for seasonal, organic and local food items when possible. You get what you pay for. The fewer ingredients the better. Check out how simple this restocking process can be based on the following sample shopping lists. Yes – the rest of the family (kids and spouse) can eat these foods too. Why would you feed your family something you wouldn’t eat yourself? Now that you have your list, get shopping! Be on guard: the grocery shopping experience doesn’t end when you unpack your groceries at home. The fun is just starting. Wash and cut the veggies and cook the lean proteins and whole grains. In other words, have the food READY to eat. Part ways with non-nutritious foods and eliminate anything in your house that doesn’t support your goals. Use a list for your next grocery store visit. Use our suggestions as a guide. Also, make sure you have basic kitchen gear to prepare and store your bounty of healthy food. Follow these steps and you’ll have your kitchen made over in less than 24 hours. Keep a running grocery list all week of items you need to replenish. 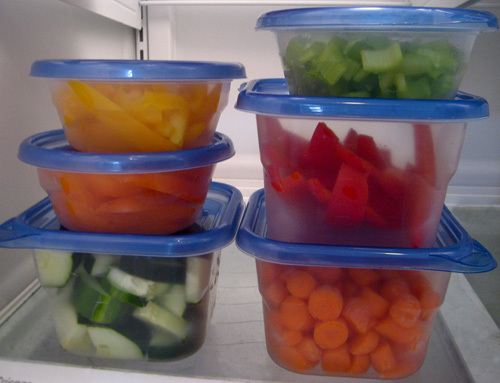 Stock up on frozen fruits and vegetables so you have a backup when the fresh supply runs out. Build a kitchen that you enjoy, bring in a stereo, turn on some music that will get you in a good mood. Better mood = better food.